MOSCOW, December 5. /TASS/. 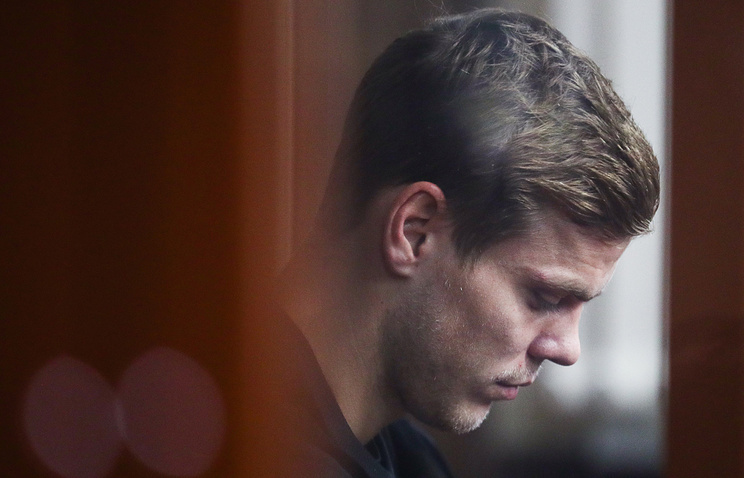 Football player of Zenit FC Alexander Kokorin, charged for battery and hooliganism, has refused to pay for the damage inflicted on Denis Pak, Director of a department of the Ministry of Industry and Trade, in a brawl in a cafe in central Moscow, Kokorin’s lawyer said in the court, TASS reported. Tverskoy Court is studying the investigators’ move to prolong the arrest for the perpetrators under the case. "Mr Pak prevaricated. In the testimony he said one thing, but video footage showed the opposite. We are not going to make up for Mr Pak, and we will act under the law toward him," Alexander Kokorin’s lawyer said. "Pak said that he was hit with a chair in the head, but the video shows him being hit with a chair in the arm or body," the lawyer specified. The football players pled partially guilty in the court. On October 8, the football players, as well as Kokorin’s brother Kirill and their friend Alexander Protasovitsky, got involved in two conflicts in downtown Moscow. In the first conflict, which occurred at about 08:30 am Moscow time near Peking Hotel, a Mercedes was damaged and its driver Vitaly Solovchuk was beaten. The car is the property of Channel One TV presenter Olga Ushakova. 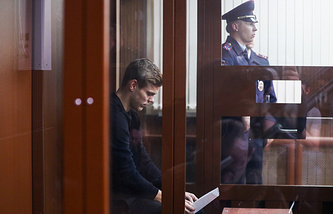 Kokorin said that he did not take part in the brawl with driver Solovchuk. Mamayev’s lawyer presented the document about Mamayev’s repayment of loss inflicted on Solovchuk in the court. The company moved to a cafe on Bolshaya Nikitskaya Street later, where director of a department of the Ministry of Industry and Trade Denis Pak was beaten. Director of the NAMI State Research Center Sergei Gaisin, who tried to calm the young people down, was also struck in the face by one of them.